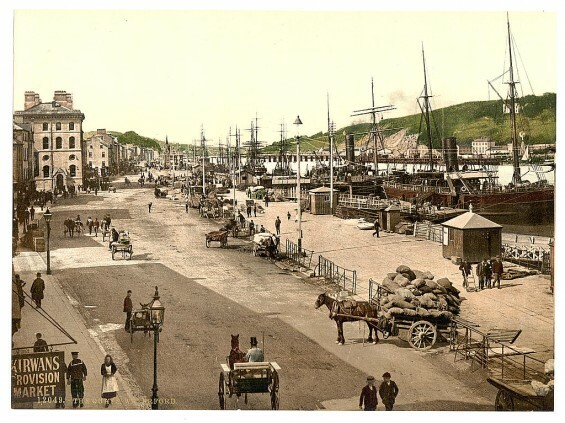 This fantastic collection of old photographs documents some of Ireland’s most iconic archaeological and heritage sites. The photographs date from between 1890 and 1900 and are from the Library of Congress Collections. 1. 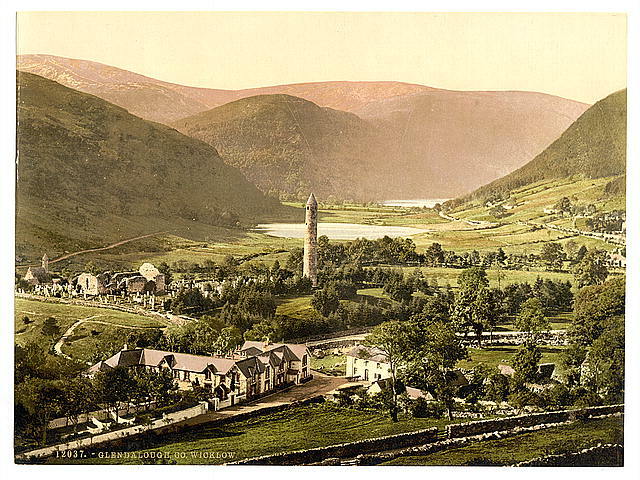 Glendalough, Co. Wicklow: Founded by St. Kevin in the 6th century AD, this was one of Ireland’s most important early monasteries. The monastic remains include a superb round tower, seven churches and two decorated high crosses. The round tower, which can clearly be seen in this photo, measures 30m high and has an entrance 3.5 metres above its base. 2: Ross Castle, Killarney, Co. Kerry. Built in the late 15th century by the O’Donoghues this castle consists of a square tower house, with bartizans on two of its corners. Additional defence was provided by a square bawn protected by round corner towers at each end. The castle changed owners during the Desmond Rebellion of the 1580s, when it was captured by Mac Carty Mor. 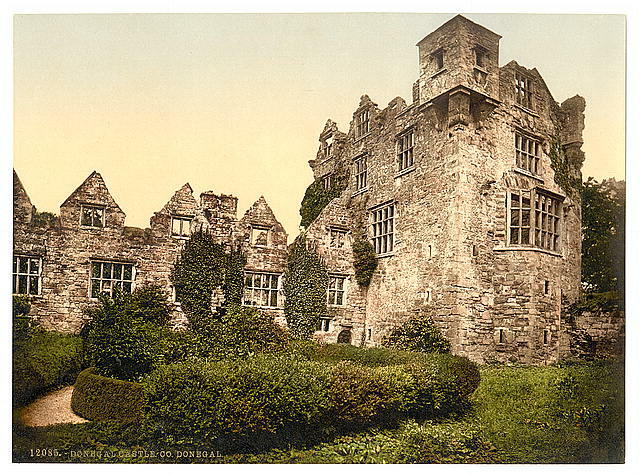 It was subsequently leased to Sir Valantine Browne ancestor of the The Earls of Kenmare, whose family remained at the castle up until the 20th century. 3. 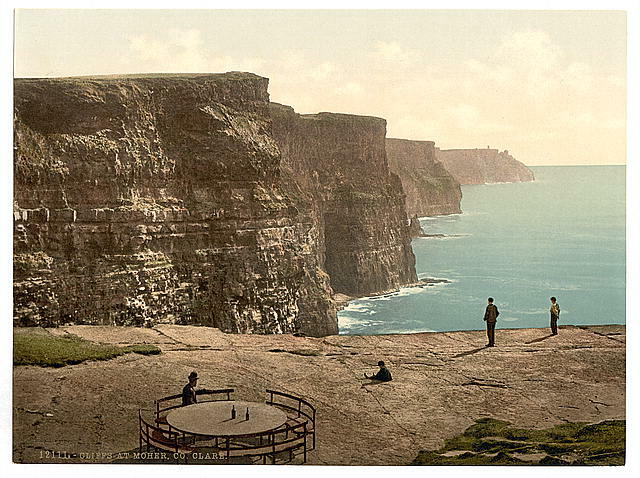 The Cliffs of Moher, Co. Clare: These iconic cliffs are located on the southwestern edge of the Burren region. They rise to a maximum height of 214m (702 ft) and as this image shows they have been a tourist attraction since at least the late 19th century. 4. 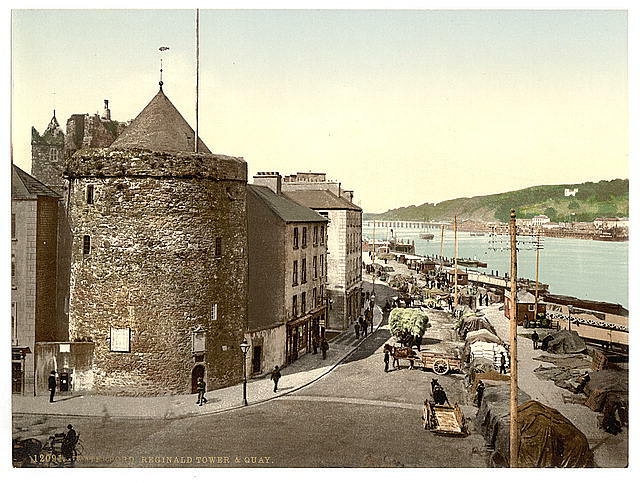 Reginald’s Tower, Waterford City: Built in the beginning of the 13th century this circular defensive tower was an integral part of Waterford city’s defences. 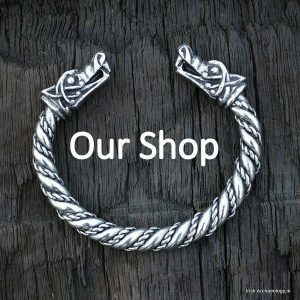 Remarkably it is the only surviving building in Ireland that retains its original Viking name. During its long and rich history the tower has had many uses including as a mint, a prison and a military store. It now houses a small but excellent museum. 5. 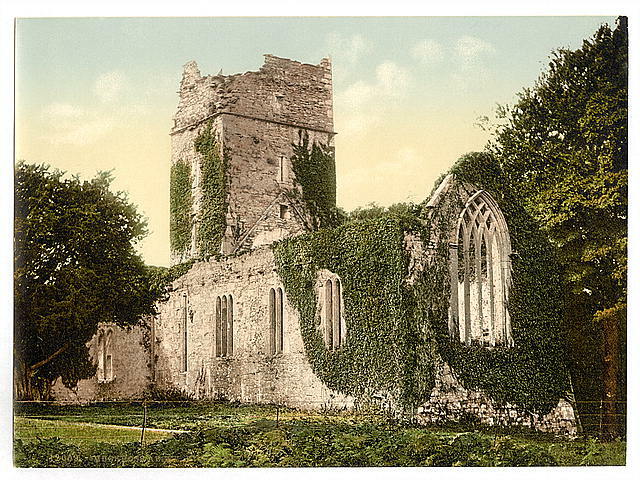 Muckross Abbey, Killarney, Co. Kerry: This fine Gothic abbey was founded in 1448 by the Franciscans under the patronage of Donal McCarthy Mor. The abbey had a somewhat turbulent history and was suppressed in 1541 by Henry VIII. 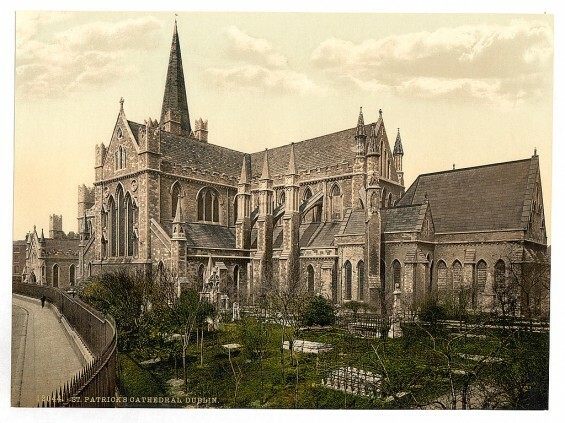 The monks formally returned in 1612, before being once more evicted by Cromwell in 1652. 6. 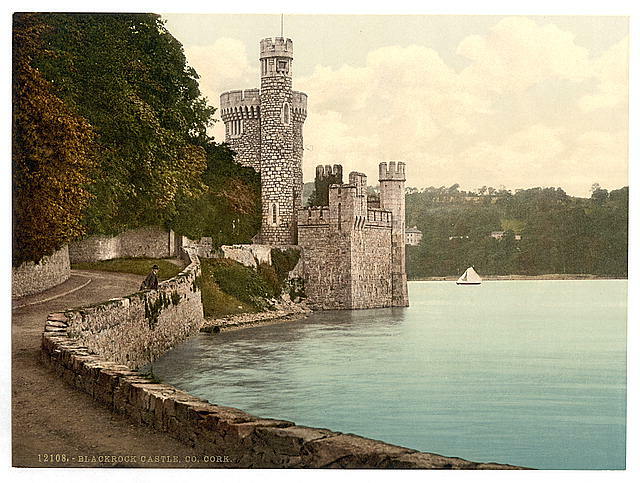 Blackrock Castle, Cork. 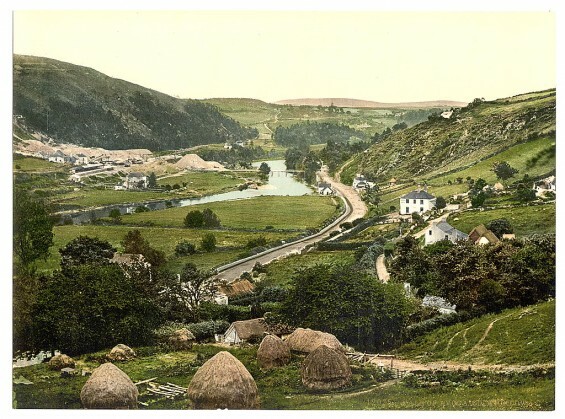 Located on the outskirts of Cork city this ‘modern’ castle was designed by James and G.R. Pain and built between 1827-29. It replaced two earlier castles at the site, the first of which was constructed c. 1582. 7: Donegal Castle, Co. Donegal: Located near the mouth of Donegal harbour the castle consists of a 15th century rectangular keep with a later Jacobean style wing. It was the home of the O’Donnell clan, Lords of Tír Conaill, until they were forced to flee Ireland during the Flight of the Earls in 1609. The castle has under gone extensive restoration work and is now open to the public. 8. Blarney Castle, Co. Cork: Home to the famous Blarney Stone this imposing fortification was built in the 15th century by the MacCarthy’s, Lords of Muskerry. 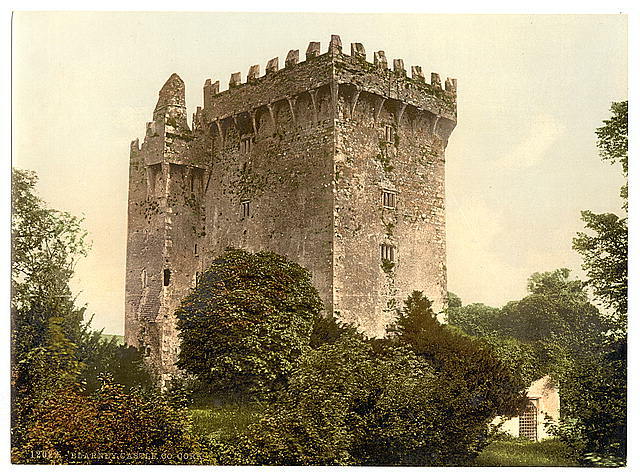 The castle is now a major tourist draw, with the Stone of Eloquence or Blarney Stone being the main attraction. Located at the top of the castle visitors hang upside-down over a sheer drop to kiss the stone, which is said to give ‘the gift of the gab’. 9. 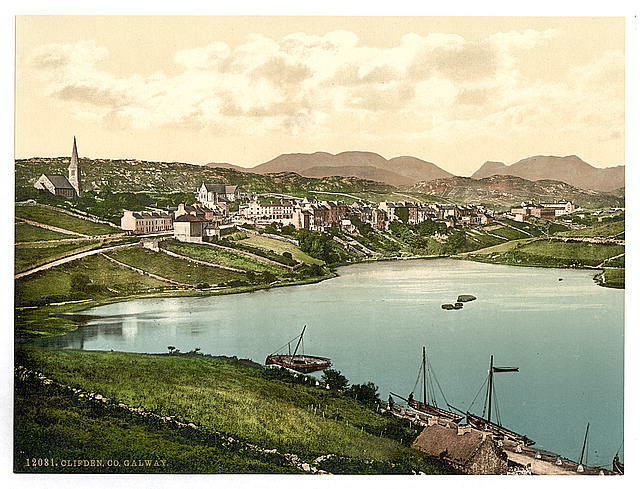 Clifden, Co. Galway: The ‘capital’ of Connemara, Clifden was a planned town founded in the early 19th century by the local landlord John Darcy. 10. 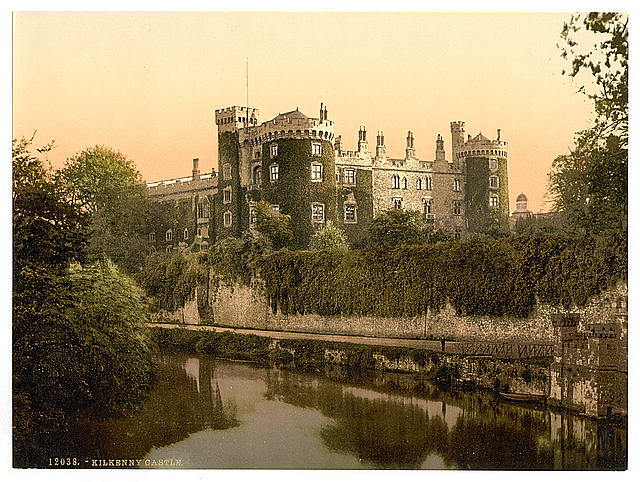 Kilkenny Castle, Kilkenny city: Situated on a fording point over the River Nore the earliest parts of the castle date to 1212 AD, when William Marshall erected a stone fortification here. Three towers of this early castle still survive, although in a much modified state. In the late 14th century the castle was bought by one of Ireland’s most powerful families, the Butlers, Lords of Ossory. These powerful magnates were to play a central role in Irish history and the family remained ensconced in Kilkenny castle until 1935. 11. 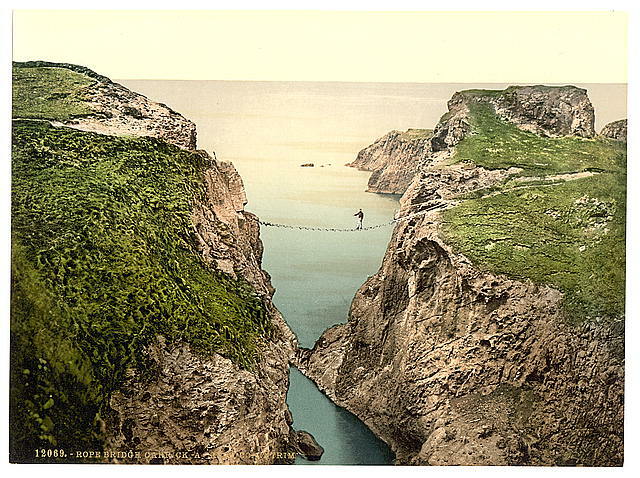 Carrick-a-Rede Rope Bridge, Co. Antrim: This narrow rope suspension bridge connects the tiny island of Carrick to the mainland. The bridge, which was originally used by Salmon fisherman, spans a gap 20 metres wide and is 30 metres above the sea below. Still in use the bridge is now maintained by The National Trust. 12. Devenish Island, Co. Fermanagh: One of the finest monastic sites in Northern Ireland, Devenish island contains extensive ecclesiastical remains. These include at least three early churches, a 30 metre high round tower of probable 12th century date, several decorated cross slabs as well as a 15th century Augustinian priory. 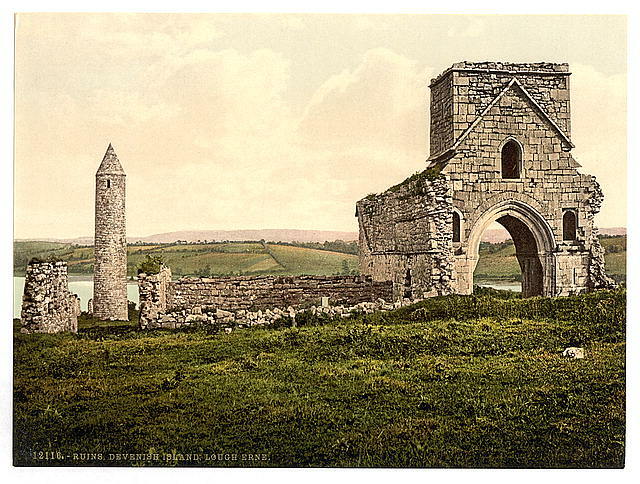 The monastery was founded by Saint Molaise in the 6th century and it stands upon a small island in Lough Erne. 13. 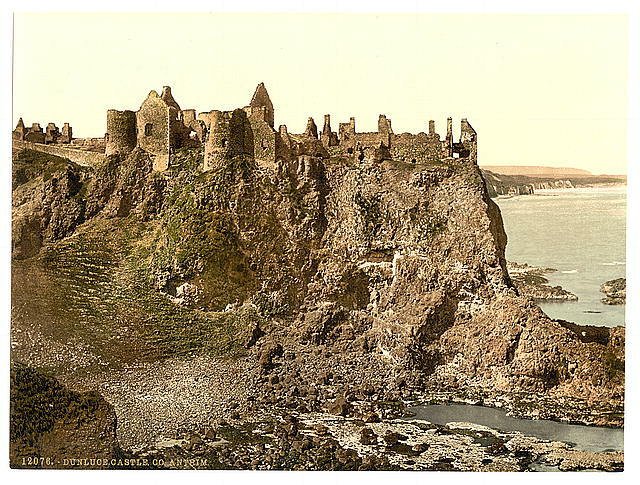 Dunluce Castle, Co. Antrim: Surrounded by steep cliffs and accessed via a stone bridge Dunluce castle is one of the country’s most impressive ruins. The first castle was built here in the early 12th century by Richard de Burgh, 2nd Earl of Ulster. This fortification was improved upon by the McQuillan family who were the Lords of Route from the late 13th century. The McQuillans were eventually displaced from the castle by the MacDonalds after losing two major battles during the mid and late-16th century. 15. 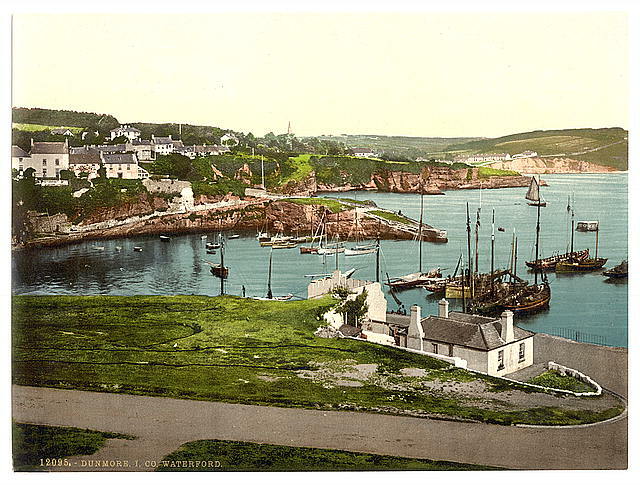 Dunmore East, Co. Waterford: Situated on the west side of Waterford Harbour Dunmore East has been an important fishing port since at least the 18th century. 16. 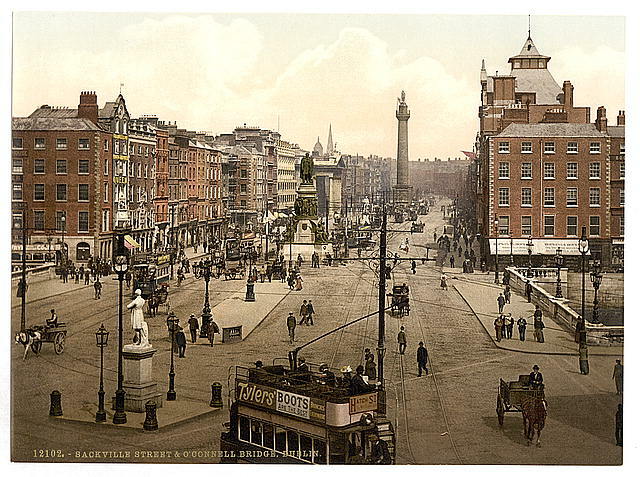 O’Connell Street, Dublin: This street is Dublin’s main thoroughfare and prior to 1924 it was known as Sackville Street. It was renamed in honour of Daniel O’Connell, whose statue can be seen towards the middle of the photo. In distance behind the statue is Nelson’s pillar, which was blown up by the IRA in 1966. 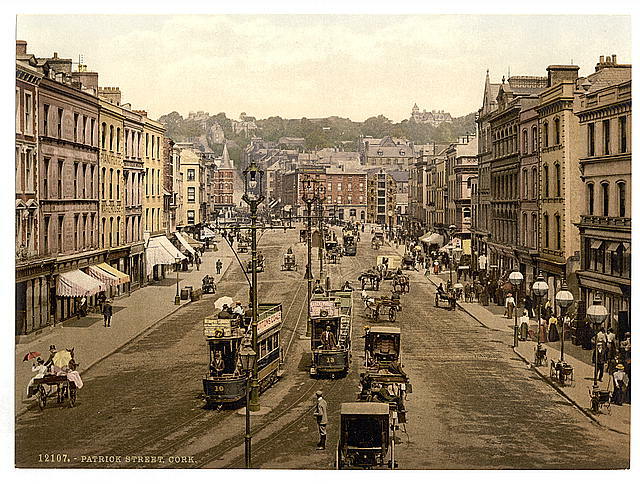 O’Connell street dates from the mid-late 18th century when a series of developments carried out by Luke Gardiner and the Wide Streets Commission opened up this new route way. Delightful photos lovely to see them thank you ! 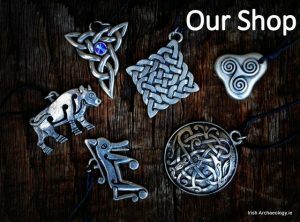 Great finds, love the Tolkien-esque Dunluce! Great to see. Hope this will be an expanding archive. love the photographs. Just found you on twitter so following you now. Expecting lots more great photos and tweets. Absolutely love your post of old photos. Do you have any of Doonane, Crettyard where my Grandmothr was born? 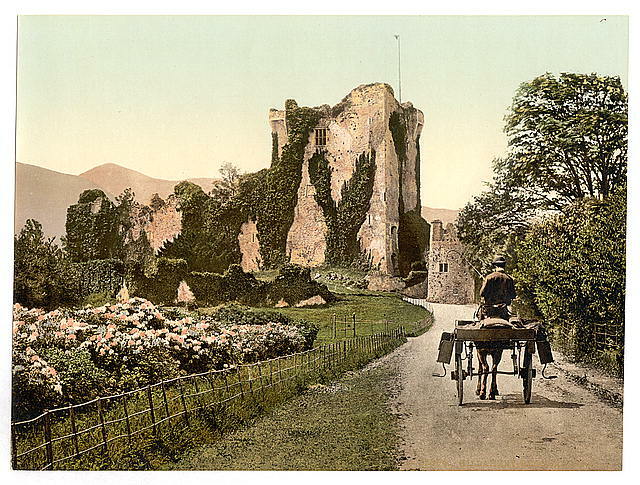 My Great-great-great-Grandmother Lady Capel may have owned Killarney Castle County Kerry. what a lovely insight to an old Ireland.It makes one appreciate our natural heritage and know that we live in a land of dreams. You are keeping a fantastic Blog! 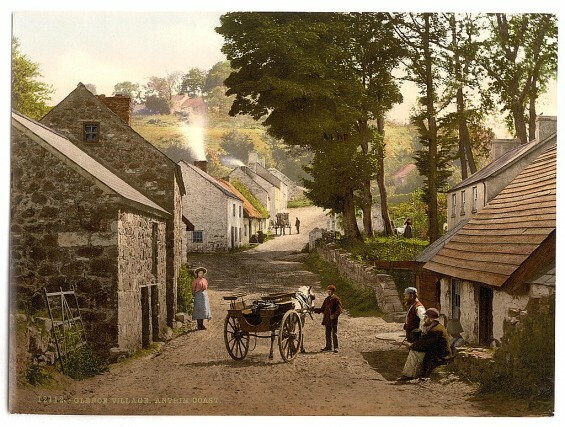 Would you mind if I ‘Shared’ this post on the Houses, Castles & Gardens of Ireland website http://www.hcgi.ie > Blog? I will, of course, make reference to the source. I look forward to hearing from you. Wonderful pictures! I can’t tell you how much I enjoyed them.